CANCER There is no doubt that cannabis is effective at treating cancer-related symptoms and treatment-related side effects, ie nausea, appetite, sleep, and pain. Can cannabis actually “cure” cancer? The federally-funded National Cancer Institute has warmed up to cannabis as a cancer treatment and has even quietly acknowledged that cannabis has been shown to kill cancer cells in preclinical studies. Cannabinoids can potentially reduce the risk of colon cancer due to its anti-inflammatory effects on the colon; Delta-9-THC was found to damage or kill liver cancer cells; Delta-9-THC had anti-tumor effects; CBD caused breast cancer cell death while having little effect on normal/healthy breast cells; CBD, when used with chemotherapy, may help make chemotherapy more effective and increase cancer cell death without adversely impacting normal/healthy cells. PTSD Post Traumatic Stress Disorder is not limited to Veterans returning from war. Although the Department of Health and Human Services recently signed off on a proposal to study marijuana's potential as part of treatment for veterans with post-traumatic stress disorder. Marijuana is approved to treat PTSD in some states already. In New Mexico, PTSD is the number one reason for people to get a license for medical marijuana, but this is the first time the U.S. government has approved a proposal that incorporates smoked or vaporized marijuana, which is currently classified by the government as a drug with no accepted medical applications. Naturally occurring cannabinoids, similar to THC, help regulate the system that causes fear and anxiety in the body and brain. Three classes of symptoms characterize PTSD: re-experiencing, avoidance, and hyper arousal (e.g., flashbacks, social isolation, insomnia). The persistence of PTSD over time is attributed to changes in brain chemistry that occur at the time of the trauma, when adrenaline and stress hormones are hyper-responsive. Crohn's Disease University of Nottingham researchers found in 2010 that chemicals in marijuana, including THC and cannabidiol, interact with cells in the body that play an important role in gut function and immune responses. The study was published in the Journal of Pharmacology and Experimental Therapeutics. THC-like compounds made by the body increase the permeability of the intestines, allowing bacteria in. The plant-derived cannabinoids in marijuana block these body-cannabinoids, preventing this permeability and making the intestinal cells bond together tighter. The researchers believe that a genetic susceptibility coupled with other triggers, such as diet, stress or bacterial imbalance, leads to a defective immune response. Crohn's disease, one of several inflammatory bowel diseases, achieved "complete remission" in nearly half the subjects of one study that were exposed to smoking medical marijuana on a regular basis.THC-rich cannabis produced significant clinical, steroid-free benefits to patients with active Crohn's disease, compared with placebo, without side effects. Source: Naftali T, Lihi BL, Iris D. Cannabis Induces a Clinical Response in Patients With Crohn's Disease: Clinical Gastroenterology and Hepatology. 2013. GLAUCOMA Marijuana use can be used to treat the eye disease glaucoma, which increases pressure in the eyeball, damaging the optic nerve and causing loss of vision. 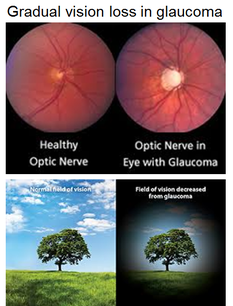 Glaucoma is the second leading cause of blindness in the U.S. Marijuana decreases the pressure inside the eye, according to the National Eye Institute: "Studies in the early 1970s showed that marijuana, when smoked, lowered intraocular pressure (IOP) in people with normal pressure and those with glaucoma". These effects of the drug may slow the progression of the disease, preventing blindness. An exciting finding in the past decade is the discovery of receptors for the active components of marijuana in the tissues of the eye itself, suggesting that local administration has the possibility of being effective. Furthermore, there is evidence from research in the brain that there may be properties of the cannabinoid components of marijuaan that protect nerve cells like those in the opti nerve. this raises the hope that marijuana or related compounds could protect nerve cells like those in the optic nerve not only through the IOP lower but also through a neuroprotective mechanism. A glaucoma patient by the name of Robert Randall was the very first legal medical marijuana patient who sued the Federal Government for his right to treat his glaucoma with marijuana. Mr. Randall also was a key figure in a lawsuit that resulted in a controversial 1987 ruling. The decision, which was subsequently ignored by Drug Enforcement Administration officials, was written by the agency's chief administrative law judge, who wrote that marijuana was "one of the safest therapeutically active substances known to man." EPILEPSY Marijuana use can prevent epileptic seizures in rats, a 2003 study showed. Robert J. DeLorenzo, of Virginia Commonwealth University, gave marijuana extract and synthetic marijuana to epileptic rats. The drugs rid the rats of the seizures for about 10 hours. Cannabinoids like the active ingredients in marijuana, tetrahydrocannabinol (also known as THC), control seizures by binding to the brain cells responsible for controlling excitability and regulating relaxation. The findings were published in the Journal of Pharmacology and Experimental Therapeutics. Charlotte Figi, an eight-year-old girl from Colorado with Dravet syndrome, a rare and debilitating form of epilepsy, came into the public eye in 2013 when news broke that medical marijuana was able to do what other drugs could not: dramatically reduce her seizures. Now, new scientific research provides evidence that cannabis may be an effective treatment for a third of epilepsy patients who, like Charlotte, have a treatment-resistant form of the disease. During the research for his documentary "Weed," Sanjay Gupta interviewed the Figi family, who treats their 5-year-old daughter using a medical marijuana strain high in cannabidiol and low in THC. Their daughter, Charlotte, has Dravet Syndrome, which causes seizures and severe developmental delays. According to the film, the drug has decreased her seizures from 300 a week to just one every seven days. Forty other children in the state are using the same strain of marijuana to treat their seizures. HIV / AIDS While the side effects of HIV and AIDS treatment can impinge on life quality, studies have shown that medical marijuana can help make the adverse effects more manageable. HIV positive patients consuming medical marijuana have reported significant improvements in appetite, muscle pain levels, nausea, anxiety, depression and skin tingling (Woodridge, et al., 2005). Studies have found that daily and chronic neuropathic pain related to HIV can be significantly lowered by regular cannabis consumption (Ellis, et al., 2008) (Abrams, et al., 2007). Medical marijuana also boosts appetite and daily functioning, helping to combat weight loss and muscle breakdown (Haney, Rabkin, Gunderson & Foltin, 2005). Research also suggests that consuming medical marijuana is safe for patients with HIV/AIDS. One study found no significant association with cannabis use and the CD4 T-cell count of patients co-infected with HIV and HCV, which means medical marijuana had no adverse effects on the immune system (Marcellin, et al., 2016). Another study found that patients with an HIV/HCV co-infection that smoked marijuana were at no greater risk of liver fibrosis (Brunet, et al., 2013). 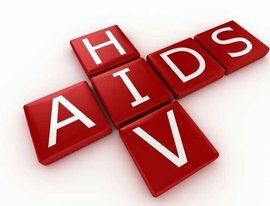 While research surrounding marijuana’s potential treatment effects on the HIV virus itself is limited, a recent study discovered that marijuana-like compounds blocked the spread of HIV virus during the infection’s late stages (Costantino, et al., 2012). Results from an animal trial also suggest that marijuana might be able to stop the spread of HIV. Monkeys that were infected with an animal form of the virus and administered with THC for 17 months saw a decrease in damage to the immune tissue of the stomach (Molina, et al., 2014). 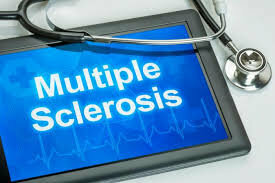 MS / Multiple Sclerosis Inflammation is one of the major villains multiple sclerosis patients face. When immune cells activate, they release pro-inflammatory proteins called cytokines. These cytokines cause rampant inflammation in the brain. This ultimately results in the destruction of neurons, and progressively worsening symptoms. The active components in cannabis, called cannabinoids, are potent anti-inflammatories. Compounds like psychoactive THC and non-psychoactive CBD deactivate the immune system, halting the violent assault on the central nervous system. When the immune system is calmed down, it no longer attacks your central nervous system. This same quality is what makes the herb so powerful in combatting other types of autoimmune diseases, like lupus. Cannabinoids are a few of a handful of key substances that promote neurogenesis in adults. Neurogenesis is the creation of new brain cells. Compounds in cannabis are also potent antioxidants, which give them neuroprotective properties. The herb combats oxidative stress, protecting cells, tissues, and DNA from damage. It eases pain, muscle stiffness, and depression. It helps sleep, eye problems, and digestion. research suggests that the endocannabinoid system has gone haywire. A 2007 study found that endocannabinoid activity was significantly altered in animal models of MS. Marijuana. Marijuana helps mediate the endocannabinoid system. Parkinson's Recent research from Israel shows that smoking marijuana significantly reduces pain and tremors and improves sleep for Parkinson's disease patients. 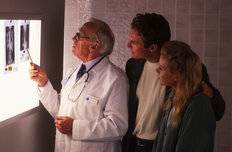 Particularly impressive was the improved fine motor skills among patients. 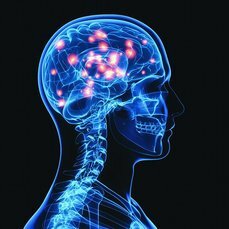 Researchers say inflammation can damage neurons that produce dopamine - the lack of which contributes to movement problems in Parkinson's. As such, they say preventing neuron damage could slow PD progression. They note that there is a need for safer drugs to treat PD, adding that cannabis "may provide a viable alternative or addition to the current treatment of Parkinson's disease." A notable study, which was conducted in March 2014, researchers at Tel Aviv University’s Rabin Medical Center in Israel demonstrated how 22 patients with Parkinson’s disease (13 men, 9 women), had their symptoms alleviated as a result of consuming medical marijuana. The researchers discovered that consuming marijuana resulted in significant improvements in the patients’ disease symptoms. 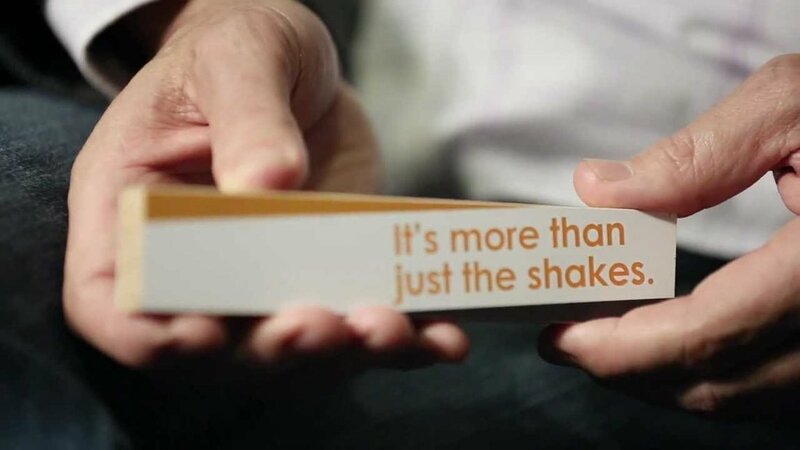 Importantly, patients were seen to experience reduced tremors, rigidity, and dyskinesia. In addition, the researchers also observed that patients were able to get better sleep and showed improvement in terms of pain scores. Interestingly, the study did not report any significant adverse effects resulting from the use of the herb in treating Parkinson’s disease. 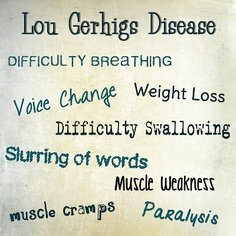 ALS / Amyotropic Lateral Sclerosis / Lou Gehrig's Disease In the mid 1980’s, Cathy Jordan, a Florida-based woman, was diagnosed with ALS and clinicians told her she would not live more than five years after her diagnosis. After several months, she began using medical cannabis and experienced symptomatic improvements, which her doctors refused to acknowledge because, she was using an ‘illegal’ drug to treat herself. Cathy survived for more than 25 years after her diagnosis. In 2012, she revealed that ‘all her doctors were either retiring or dead’. She outlived four neurologists and five support groups. A 2007 study conducted by a university research group in Spain concluded that phytocannabinoids can offer neuroprotective benefits for a variety of diseases, including ALS and multiple sclerosis. Another Spanish study reported that cannabinoids may be beneficial to treat several neurological disorders, including ALS. potential of cannabinoids to target multiple neurotoxic pathways in different cell populations may increase, and provide therapeutic benefits against ALS. There is no large-scale clinical trial evidence to demonstrate that cannabis is an effective treatment for ALS. 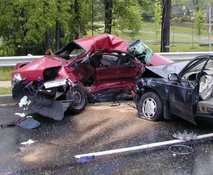 However, it has been shown that modulation of the endocannabinoid system might prevent the progression — and even the initiation — of ALS. We are well aware of the favorable safety profile of medical cannabis in other neurodegenerative disorders.